Video game industry super sleuth Superannuation has uncovered several recent Sony domain registrations which hint that the company is moving forward with their mysterious The Order: 1866 game, and kicking around the idea of extending The Last of Us into a franchise. Last month it was discovered that Sony Computer Entertainment America had filed for a trademark on the name The Order: 1886. Trademarks do not always end up becoming actual products, so the filing in and of itself amounted to very little. However, it has now been discovered that SCEA also registered several domains for the name through their domain registrar. Apparently SCEE uses an entirely different registration company, so the domains indicate that The Order: 1886 is an American-developed game. WhoIs notes that domains related to the trademark (theorder1886.com, theorder1886.net, theordergame.net, theorderps4.com, and theorderps4.net) were all registered on March 18, 2013. The other interesting thing to note about the domains is that two of them include “ps4”, which obviously suggests that The Order: 1886 is in development for the PlayStation 4. Our guess is that we will be hearing something about The Order: 1886 at E3 next month, if not sooner. We will keep an eye out for any official announcement from Sony and let you know as soon anything pops up. The other interesting bit of Sony domain registration news involves Naughty Dog’s upcoming PlayStation 3 The Last of Us. According to the report, Sony has gone ahead and registered both lastofus2.com and lastofus3.com. 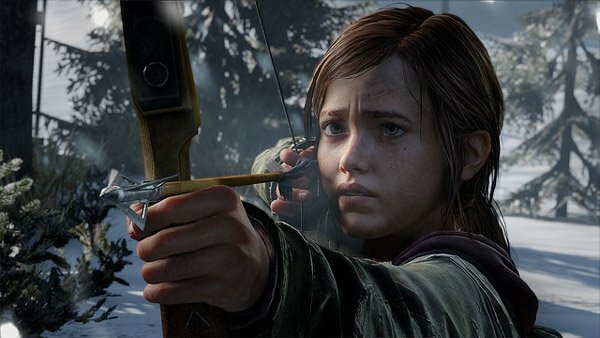 With The Last of Us still in the final stages of development before its June 14, 2013 release, it is unlikely that these domains are any indication that Naughty Dog has done much in the way of developing a sequel — let alone a third title. The more likely situation here is that Sony is simply locking down the domains now, so that they don’t have to fight for them later if they ever decided to turn the game into a franchise.